Home / ICE secure, looking for divers! Well Jane and I managed to pack , sort and clean ICE, before pulling her out and placing her in a hole at Vuda Marina in Fiji for the cyclone season. Grant on Lochiel is living onboard his boat for summer and is going to keep an eye on the boat while we are gone. Jane and I flew out to China to start collecting gear to ship back for next season. There is plenty happening! Mark is working flat out making big inroads into all the issues that will hopefully allow us to start some real work next season. It has taken three years to get this far but things are looking OK. The important thing now will be finding a new crew for next season. If all goes to plan we hope to establish THREE independent, self-contained dive teams. The RED team of four, will be based on ICE for the season, joining late April in Fiji and signing off end of October. The BLUE Team of six, will be shore based, on an uninhabited tropical island. They will fly into Nuku Alofa 1st July for 10 weeks. The WHITE Team of four will be based on another beautiful island with a small village and will arrive in Nuku Alofa 1st August for 10 weeks. We will all be working together as one group, but we have a few key sites that require the establishment of shore bases. 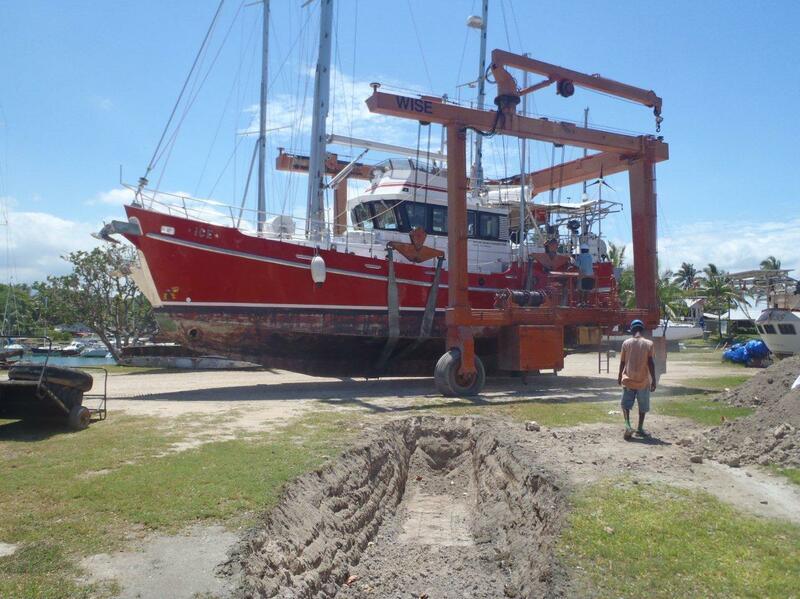 I am looking at having a new 25ft Dive boat built in Nuku Alofa and we will also commission three new 4.7mtr zodiacs. For logistics reasons we can only start these operations in a staggered way and will plan a specific operational period and shutting down on a set date, but it is our intention to keep operations running full time if all goes well. There is simply so much to do now, that we would hope to maintain an operational presence for 10 months a year in Tonga “maybe”. There are still plenty of hurdles to get over, permits to be granted and logistics to be sorted, but we are working on that every day. WE are going to need some passionate volunteers to “sign on” for this and I am about to start that search. This is shaping up to be a very interesting 2013, maybe even a once in a lifetime opportunity if you are looking for a diving adventure! Mark and I now know that we will be very busy for the next five years and more, so if you want to be part of the team and if you have an interests in Maritime History, Wrecks, Underwater Filming and Photography, Marine Biology, Marine Archeology, Underwater Survey and Exploration while you swim with whales, in one of the best Kingdoms in the world, give me a call! I fly back to Australia over the weekend to sort gear there to ship out to Tonga and then head to Antarctica for a few months. Looks like it will be another white Xmas!..Have a good one!